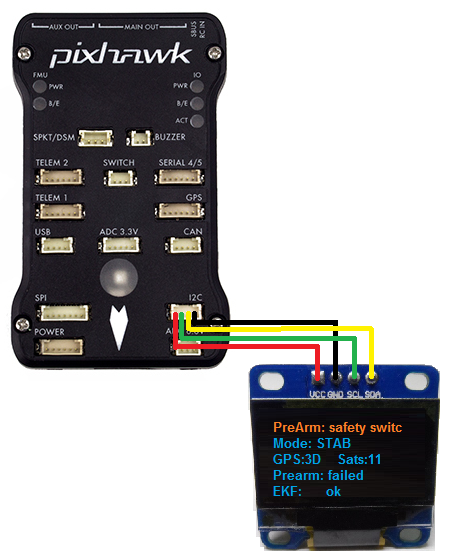 This article explains how to connect a small onboard display to a flight controller which can be useful for displaying a small amount of vehicle information before takeoff. Support for the onboard display is included in Copter-3.5 (and higher). set NTF_DISPLAY_TYPE to 1 if using an SSD1306, 2 if using the SH1106 and reboot the board.